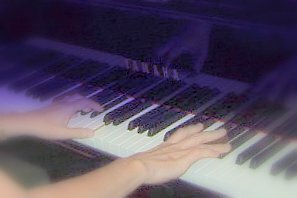 In 2002 a group of piano teachers in the San Francisco Bay area gathered together to discuss the idea of presenting twice yearly public performances. Initially conceived as an opportunity for their students to be exposed to fine music performed by people they knew well, the recitals attract ever-growing audiences of music lovers from all over the Bay area. Performances have been held in churches and music stores in Walnut Creek, Danville and San Ramon. On September 11th, 2004 they presented ‘Schubertiad: A Concert for Peace,’ and in 2005 they took as their theme ‘Impressions in Sound and Color : A Century of Paris 1850-1950.’ An all Mozart concert was fittingly held in 2006. The ‘piano’ parts of Piano Renaissance is made up of Anne Russell, Heather Morris, Joel Tepper, Tanya Heeb, Marcia Berryman and Lynda McManus. Susan Waller (flute) adds instrumental diversity to our programs and Anne Russell shares her vocal skills. Heather Morris is a composer and often adds one of her own works to the recital. Guest performers are sometimes featured in the program. Marcia attended the Cincinnati-Conservatory of Music and was a doctoral candidate at Columbia University Teachers College. She continues her own studies with Roy Bogas, pianist for the San Francisco Ballet. She currently owns the McManus Piano Company and School, located in San Ramon. Born in Northern England Heather received her B.Mus from Sheffield university. In California she studied piano with Keith Snell and composition with Martha Ashleigh. Her compositions range from work for solo piano to chamber and orchestral compositions. Joel graduated from UC Berkeley with a degree in music and psychology and an MFA from Mills College. He has performed with the San Francisco Symphony and has given many recitals at Cal and Stanford. Susan Waller, flute, performs with the San Francisco Ballet Orchestra (including more than 800 performances of the Nutcracker), freelances in the San Francisco Bay Area, and appears throughout northern California in solo and chamber music recitals.